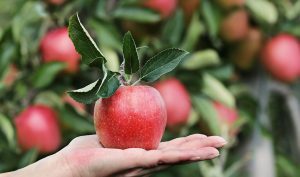 As you take a drive along the beautiful Blue Ridge Parkway between Asheville and Banner Elk, NC, one of the best places to visit is the Historic Orchard at Altapass. With fun events, live music, hayrides through the apple grove and more, this location is a wonderful place to stop and enjoy the beauty of the NC High Country. Check out this great information on the Orchard at Atlapass from www.altapassorchard.org.